To offer our purchasers top-notch range of products, we ensure only optimum grade supplies are utilized for their production. 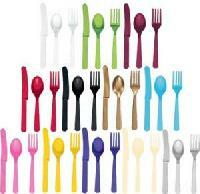 We are most sought after Supplier, affianced in providing user and pocket friendly Plastic Cutlery. 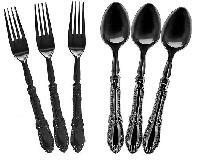 Our utensils like dinnerware and others too are cost effective. 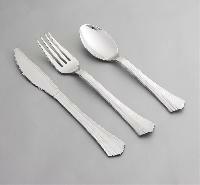 We have this flatware range of cutlery in very attractive prices. 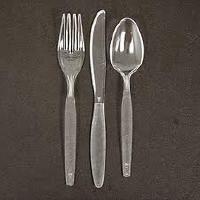 Also our utensils do not need much of care. As, our organization has stringent quality management strategies, our complete range of products is preferred by many across the industry. We are capable of delivering the orders on time and at any desired Gujarat(India) as we are supported by up-to-the-minute facilities. 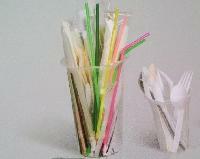 Offered to be availed in various shape and sizes, these are biodegradable. We have moulded cutlery trays too. 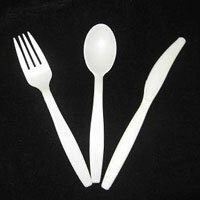 We are offering disposable plastic cutlery. 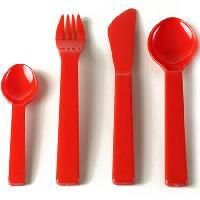 Customers can avail from us a commendable gamut of disposable plastic cutlery. These are designed by our professionals using advanced machines and production techniques. We offer them in different micron thickness and are durable in nature. Offered at industry leading prices, these products are extensively demanded by our clients. 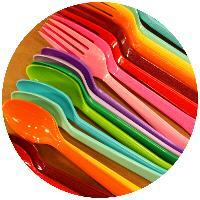 We are a trustworthy name, involved in offering excellence in the form of Plastic Cutlery. Over the years, our organization has a carved a niche for itself in Moradabad(India) and is dedicated towards becoming a trustworthy trader in other markets as well. Liquid is filled in the molding for desired shape. Then the shape structures are taken out of molds and kept for setting. 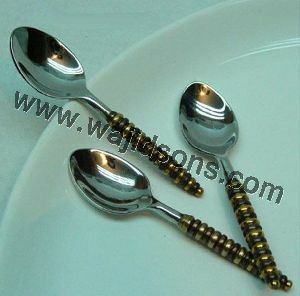 These are high quality sturdy plastic spoon having an excellent finish. They are available in standard colours such as Natural, white, blue and black. With our excellence in this field, we share forefront for supplying world-class array of products from Thane(India). Our product range is subjected to stringent quality control procedures to ensure they are as per industry standards. 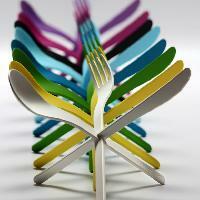 The different items of cutlery are moulded in different and required perfect shapes. We also make dinnerware items for wedding and other occasions. Triple 999 Retail Pvt. 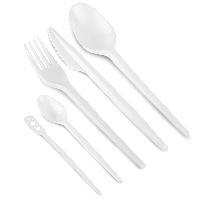 Ltd.
We are offering plastic cutlery. 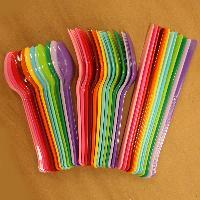 All type of plastic cutlery such as spoons, knifes, forks, tea stirrers , straws etc are available in different shapes, sizes and quality. With the assistance of our reliable transportation facilities, we have become capable of delivering the orders on time. Owing to our well-established set-up in Gujarat(India), we are capable of catering to the requirements of clients with utter ease. 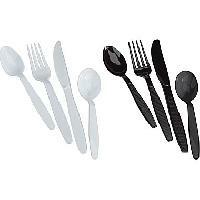 These finely moulded cutlery are made of stainless steel, hdpe, etc. We also have custom made cutlery trays, jugs, etc. Our trays and jugs stay durable. 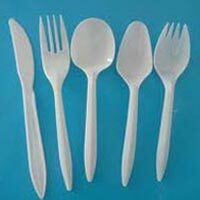 We are offering wide range of Disposable Plastic Cutlery . 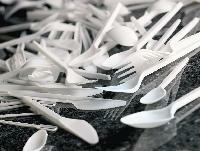 We make available Disposable Knives, Disposable Spoons and Disposable Forks. 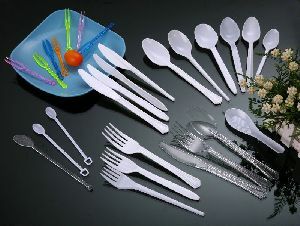 Disposable Plastic Cutlery offered by us is ergonomically designed, tough enough and very functional also. 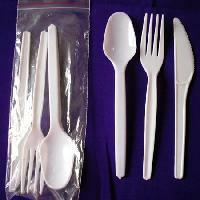 Disposable Plastic Cutlery, that we provide, is very convenient to use as well. One of the major concerns of the organization is to make available only quality approved products to the buyers and thus we check the entire range at all stages. Our organization is one of the steadfast providers of the finest range of our product in Delhi(India). 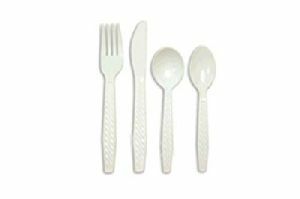 Our pvc made cutlery items are long durability holder. These are made with designer molds. This flatware range is coffer-friendly. 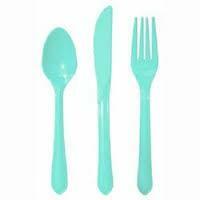 Cutlery offered can be made available in bright attractive colors and in durable food grade plastic finish which makes these provide for perfect usage support. We are offering disposable plastic cutlery. 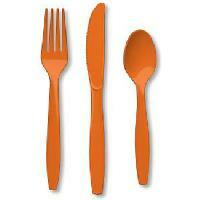 This disposable cutlery range is also available in thermocol, polymer and hdpe. They are molded and finished with perfect shape. We deal with disposables of biodegradable nature. 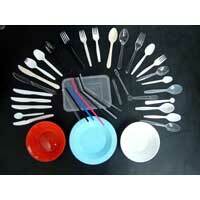 We have microwavable cutlery items as well. 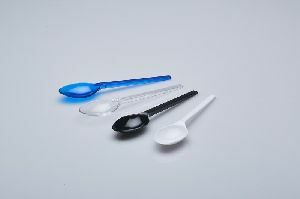 These microwavable items are made of hdpe or polymers. They are moulded into shapes with utmost precision. 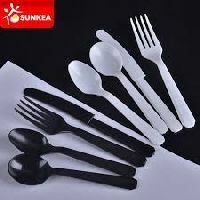 We are the leading manufacturing disposable plastic cutlery company that has mastered the skill of business and understand each, these are high quality plastic disposable spoon, fork , knife, drinking straw etc.